Home Shopping Best Compact Bluetooth camera: which one to buy? The Bluetooth was the main mode of transmission in the early years of the decade and continues to play an important role thanks to numerous devices operating in a wireless and introduction of Bluetooth 5. Although the most recent cameras often use Wi-Fi, there are still devices that use the “old standard”. In this guide, we will understand which compact Bluetooth camera to buy. match the smartphone to remotely control the camera. transfer files (this operation is very slow, especially compared to Wi-Fi). Although the connection with Bluetooth devices usually takes place in a direct way, for the cameras there is a need for specific applications that act as “through”: an example can be Nikon’s SnapBridge. Putting connectivity aside for a moment, a good compact camera stands out for other features like sensor and autofocus. The greater the size of the sensor, the greater the light that will be able to enter. This translates into more defined images and better shots in prohibitive light conditions. Micro 4/3, APS-C and Full Frame: rarely used on compact. Another feature to take into account, allows us to have subjects always well in focus in automatic mode. It depends a lot on the number of AF points, their geometry and coverage. We leave you to the selection of compact cameras with Bluetooth that, in our opinion, deserve your attention. The first model we want to talk to you about is a compact water-resistant and shock-resistant Bluetooth camera. It mounts a 13.2 MP CMOS sensor with a Nikkor lens that allows a 3x optical zoom. The ISO 125-1.600 sensitivity is not the best, but it is easy to understand that it is a model suitable for those who want to take photographs without having to pay too much attention to their equipment. Although the TFT LCD screen is not very defined, it is covered with an anti-reflection coating. The Bluetooth module is used to match the SnapBridge application with the smartphone. We continue with another compact with CMOS sensor, this time from 20.1 MP combined with a Nikkor 25-200 mm lens, with 8x optical zoom and 16x digital zoom. Also in this case the Bluetooth is exploited using the SnapBridge application. Canon rarely offers a compact Bluetooth camera, and this Powershot SX730HS is an exception. The 20.3 MP CMOS sensor is combined with the DIGIC 6 processor and a 24-960 mm lens that provides 40x optical zoom and 80x digital zoom. The videos can be recorded in Full HD at 60fps, and the burst of shots reaches almost 6fps. The adjustable 3 “display is quite resolute, with 922,000 points, but what matters is GPS, Wi-Fi and Bluetooth connectivity. 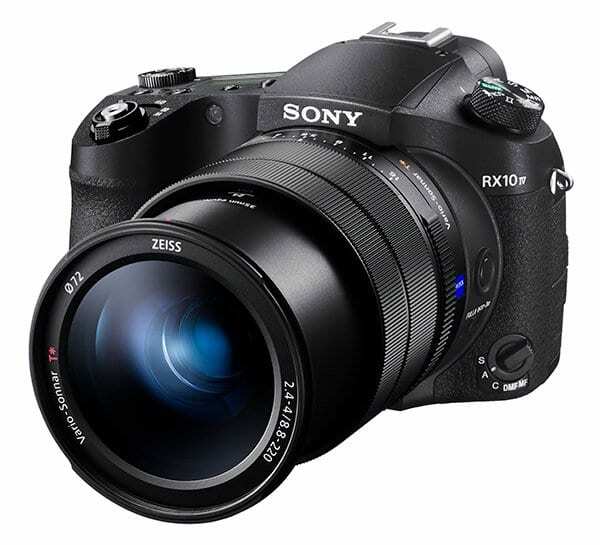 We have already reserved a place on the podium in our analysis of the best 4k compact camera for this A900 because it is a compact camera with an excellent quality/price ratio. The 20.3 MP CMOS 1 / 2.3 ” sensor is combined with a Nikkor optic with 35x optical zoom and 70x digital zoom that can be defined as 24-480 mm. Videos can be recorded in 4K and are partially stabilized, as there is a VR system for vibration reduction. Bluetooth is used via SnapBridge. Evolution of the Coolpix W100 just seen, the W300 features a 16MP 1 / 2.3 “CMOS sensor with Nikkor 24-120 mm lens that allows 5x optical zoom. Videos can be recorded in 4K and labeled by location thanks to the GPS module. There is no lack of Wi-Fi and Bluetooth. The W300 is a rugged camera in all respects as it is able to withstand adverse conditions: temperatures up to -10 ° C, falls up to 2.4 m and dives up to 30 m.
We conclude with this compact with a 24.2 MP CMOS APS-C sensor combined with the DIGIC 7 processor and a 24-72 mm lens. The videos can be recorded in Full HD at 60fps, the burst of shots reaches 9 photos per second and ISO values reach 25.600 for excellent shots in low light conditions. The 2.360.000 dots OLED viewfinder accompanies a swiveling 3-inch touchscreen display. Although the most expensive of these, the G1 X Mark III is the best Bluetooth compact camera because it offers excellent performance in all conditions. We have just seen which compact Bluetooth camera to buy. The proposals are not many, but they are very varied: there is something for everyone, from those who love extreme sports to those who prefer maximum performance.